Russia, Iran and Turkey, the guarantors of Syria's nationwide ceasefire, have signed a memorandum on establishing four safe zones, or zones of de-escalation of tensions, in the war-torn country during reconciliation talks in Astana on May 4. The zones will be established for six months with the option of extending them automatically for another six months. The use of arms in the areas is prohibited for all sides. Memorandum Signed: What Are the Safe Zones in Syria? The guarantor-states of the Syrian ceasefire regime have finally agreed on the creation of a safe zone in Idlib, an issue that had been on the agenda for a long time as the region is mostly controlled by terrorists and rebels. The Red Cross has praised the establishment of Syrian safe zones backed by Russia, Iran and Turkey. The ceasefire deal agreed by Russian President Vladimir Putin and his US counterpart Donald Trump in southern Syrian regions has been praised by the UN as truly effective. A joint monitoring center of a de-escalation zone in southwestern Syria has opened in the Jordanian capital of Amman, the Russian Defense Ministry said Wednesday. Moscow hopes the Syrian opposition will fight against terrorism in Syria more actively, the Russian Foreign Ministry said in a statement Friday. Turkish President Recep Tayyip Erdogan on Friday said he expects that the issue of setting up the fourth and final Syrian de-escalation zone in Idlib will be successfully resolved during talks with Russia and Iran. Syria's armed opposition groups are seeking dialogue with Russia on establishing a new safe zone in the north of the war-plagued country. The establishment of de-escalation zones in Syria is very important step in restoring peace in the war-torn country, but it only represents the first stage in ending the military conflict, according to Russian political analyst Boris Dolgov. He explained what else should be done to bring an end to more than five years of hostilities. Israel, Russia and the United States held several rounds of secret talks to discuss the ceasefire in southern Syria and creation of de-escalation zones on the country's borders with Israel and Jordan, the Haaretz newspaper reported Wednesday, citing Israeli and European politicians. Some 1,500 people pass through the security checkpoint in Syria's southwestern Daraa province, where a safe zone has been established. The work on the establishment of the safe zone in Syria's northwestern Idlib province will be complicated due to the possible difficulties in coordination of its parameters, Russian Foreign Minister Sergei Lavrov said Sunday. 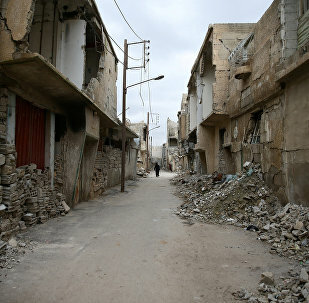 The efforts of Russia and Egypt will possibly make Syria's northwestern Idlib province the next stage of de-escalation in the country after the province of Homs, a member of Syria's Tomorrow opposition movement told Sputnik Saturday. The Kremlin positively assesses the developments in Syrian regions with active de-escalation zones, Kremlin spokesman Dmitry Peskov said Thursday. Arab League Secretary General Ahmed Aboul Gheit expressed concern in an interview with Sputnik that the zones of de-escalation in Syria may become permanent and fall under the influence of the ceasefire guarantor-countries. Russia's military police in the de-escalation zones in Syria will carry only light weapons, the head of the Russian delegation at the talks on Syria in Astana, Alexander Lavrentyev, said Wednesday. The armed Syrian opposition has not received official information on possible deployment of troops from different countries to the de-escalation zones, while the Free Syrian Army is against the deployment of Iranian servicemen, a member of the armed opposition delegation told Sputnik. The de-escalation zones established by Russia, Iran and Turkey in Syria have led to "a discernible reduction in levels of violence", a UN commission said. The Wall Street Journal reported citing US officials that the President Donald Trump's administration has been holding "secret talks" with Russia over the creation of a safe zone near al-Tanf where the US-led coalition had repeatedly bombed pro-Damascus allied forces. 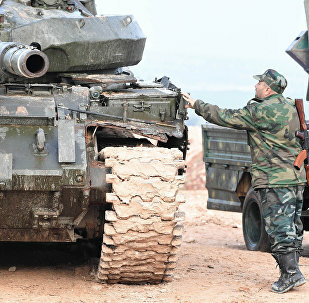 The Russian General Staff said that the Syrian civil war has almost stopped.